How to use the perimeter of a square calculator? This perimeter of a square calculator will help you with this basic calculation. Type the square side to obtain the perimeter, or use our tool the other way round: enter the perimeter to get the side length. If you're not sure what is a perimeter of a square or you've just forgotten the formula for the perimeter of a square, keep scrolling! You may also be interested in our square calculator which finds the square area and diagonal as well. 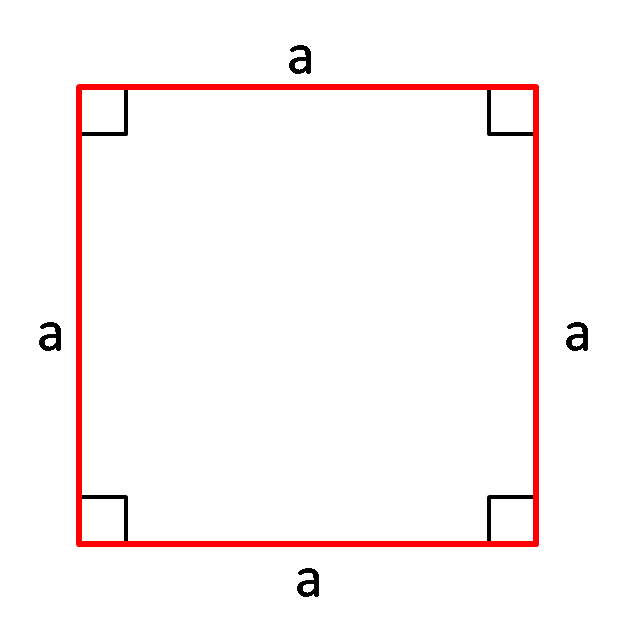 Which means that a square has a larger area than any other quadrilateral with the same perimeter. Let's have a look at an example. Imagine that you got a gift from your friend, a lovely oil painting, square-shaped. You would like to make a frame for it. However, you have no idea how long the pine board needs to be. Yes, you guessed right, you can use the perimeter of a square calculator! Measure the side of the square. For example, our painting's side is 3 ft 6 in. Change the unit by a simple click on its name and then type the value into the box. Perimeter of a square appears: it's 14 ft in our case. Of course, it's only an example, in real life you'll probably need more material as it depends on frame and board width and the way of joining frame corners. 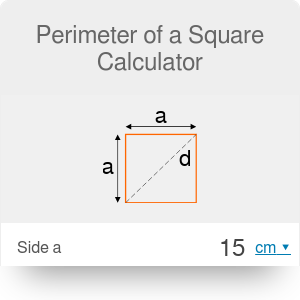 Perimeter of a Square Calculator can be embedded on your website to enrich the content you wrote and make it easier for your visitors to understand your message.